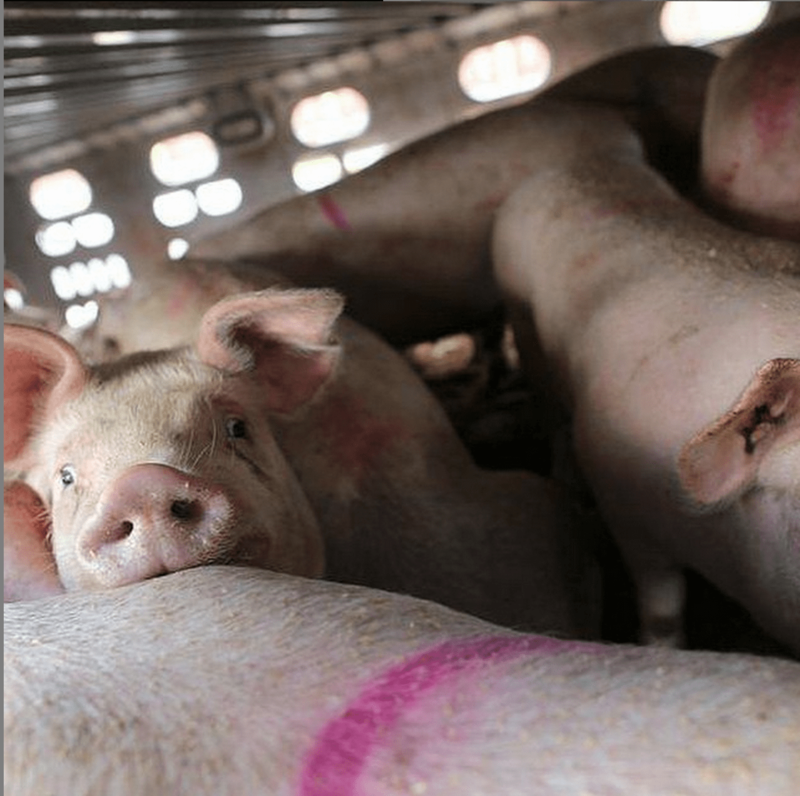 Toronto Pig Save, and really all of the pig save organizations and other activists and organizations named or anonymous worldwide do the exact opposite of the vast majority of the population. They look. They literally look into the eyes of the victims of our food production because they believe that the very least we can do for the trillions of animals we kill every year, is look them in the face and let them know that we see them, we’re sorry, and we’re trying. “Every time you go it’s a fresh experience. Yesterday we had … an all day vigil from 7a.m. – 7p.m. and we saw maybe 30-40 trucks each carrying like 200 pigs. And I mean, this slaughterhouse can kill 10,000 pigs a day. And when they stop at the traffic lights, and you’re trying to give them water. there was this one pig and he was too scared to take water, or the watermelon that we were trying to give him, and I was just connecting with him. we’re looking into each other's eyes and it was just really really traumatic. [It's] a really difficult experience knowing that he was just going to go around the corner and get his throat slit. I hope you enjoyed hearing from James on the importance of bearing witness. You can connect with him via the links to his twitter and YouTube in the video description for more information along with the Toronto Pig Save site. 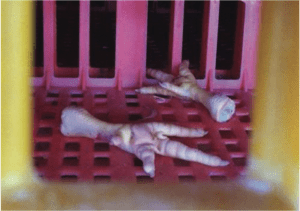 Exposing the hidden world of animal agriculture and showing what really goes on behind closed doors is a powerful and vital tool to animal liberation. [tweet this] And it gives a voice to the trillions suffering and dying in the shadows of our society, completely ignored and vehemently denied by the very people who pay for it to happen. I’d love to hear your thoughts on this matter. Have you even been to a vigil? If you aren’t vegan, do you think watching what your food goes through would change your behaviors? If you are vegan, was this type of action a part of your decision to change? Let me know in the comments! Emily, since you are surely vegan, I question your use of terms like “we” and “our” such as your usage of them in the initial sentence. While it may seem more inclusive, I think it’s better to be accurate, and to give readers the valid sense that not everyone consumes animals/animal products, and that a vegan lifestyle is very possible and is currently practiced by many (which is what Bite Size Vegan is all about). Thank you for your wonderful advocacy, and Toronto Pig Save et al. for their wonderful activism! thanks Mary Finelli! the reason i do that is that people will usually listen more and not get “up in arms” as easily. when they hear “you can’t” or “you shouldn’t” or “you’re doing this or that wrong” they don’t want to be lectured and shut down. when i say “we” i’m speaking about humanity as a whole, but it allows people to listen more openly, and to me, at least at this point, i’ll take that over absolute accuracy. it’s clear that i’m vegan i think :) i’ll certainly think on this though- thank you! I know what you mean, Emily, and I realize that Bite Size Vegan is more for nonvegans that vegans, though it is interesting and informative for vegans, too. I just find it annoying and a bit offensive to be lumped in that way, and I try to find other ways to connect with people. Thanks for considering it! I cannot thank you enough for the work you do to educate and inspire people. You’ve certainly helped educate me so I can explain veganism with ease to people. However, I’ve been struggling to convince people that crustaceans…um, are animals. Too many “vegetarian” people tell me, “they’re too simple to feel pain,” which I know is untrue since extensive research has been done on the nervous and sensory systems of crustaceans. I always tell them about that research – and how lobsters and crabs even have sensory systems we lack – but very few people believe me, despite my background in biology. What should I do? I would love a nugget on the ethics of eating so-called “lesser animals” such as lobsters, crabs, fish, and perhaps even shellfish. Thank you so much Emma! I really appreciate it so much :) Did you watch the one on bivalves with Gary? I can certainly look into doing more in that vein! Hi Emily – although I have, in the past, attended demos with quite literally – 1000’s of people – the PigSave demo in Burlington the other day, was definitely something unique to me. My biggest thought is, ‘what do people that are walking or driving by think?’ Does it make them, at least for a moment, consider the animals – does it plant seeds, open minds and hearts?? I think it would. 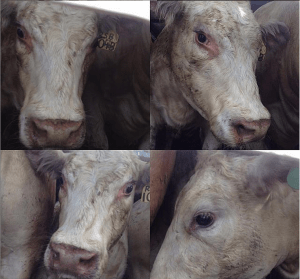 I was vegetarian for 17 years and for the next 19 years, vegan….but this event definitely affected me differently. It’s more than a demo, because at least for a moment, one is giving to these animals – in their final few moments they are receiving and in a way, I probably received something too. Thank you for this beautiful comment–and for being there. I agree that it’s a completely different type of event. I think everyone, no matter how “grizzled” in the world of activism needs to attend a vigil. 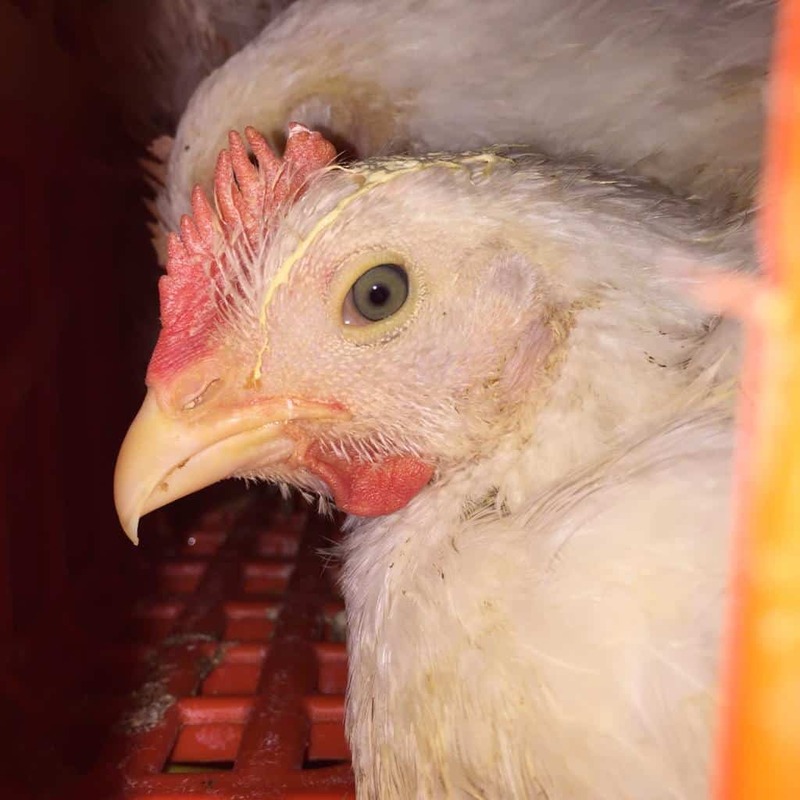 That direct connection looking into the eyes of a being about to be killed is beyond anything once can imagine. Much love and thanks for being there.